After 31 editions, Asia’s no. 1 and the world’s no. 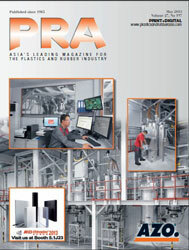 2 plastics and rubber trade fair Chinaplas is evolving, in response to the needs of the industries. This year, the show will move to a larger show venue - National Exhibition and Convention Centre (NECC), in Hongqiao, Shanghai. Applications from over 4,500 companies were received before the application deadline in November 2017 and the organiser, Adsale Exhibition Services, says that despite efforts to maximise space, total area applied exceeds 40% of the hall space. It is expected that exhibition area will reach 340,000 sq m, an expansion of 100,000 sq m compared to the last edition held in Shanghai two years ago. 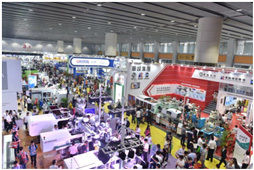 Since the show has grown and to facilitate visitors’ need of sourcing new suppliers, a “Young Tech Hall” will be introduced to shorten the time for visitors seeking specific types of products in mind, especially from new exhibitors. “Young Tech Hall is introduced to help visitors locate exhibitors and products by further segmentation,” explained Ada Leung, General Manager of Adsale. The Young Tech Hall, which will house over 350 new exhibitors in an exhibition area of 20,000 sq m. It will present additive, colour pigments and masterbatch, testing equipment, die and moulds, extrusion machinery, injection moulding machinery, smart manufacturing technology, plastic packaging and film technology. One such example is Henan Yinjinda New Materials that will launch laser low temperature shrink film for glass bottles, the first in Asia. The laser anti-counterfeiting film is flexible when printed on metallic products and said to be half the cost of dry washable labels. On top of the Young Tech Hall, the show has been divided into 18 different theme zones to facilitate successful sourcing of buyers. 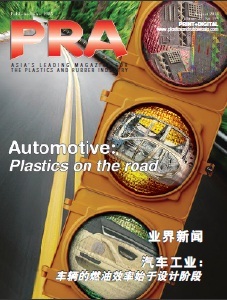 “3D Technology Zone” and “Thermoplastic Elastomers & Rubber Zone” are two new theme zones that will make their debut. In line with growing customisation and small batch production, the “3D Technology Zone” will group together the vendors and providers of 3D printing (additive manufacturing) technologies. 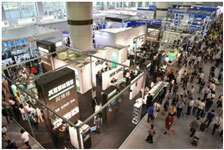 Confirmed exhibitors include Autodesk, ZWCAD, Hong Cheng, Hanbang 3D, dMac and more. More 3D printing solutions can be found in other theme zones. 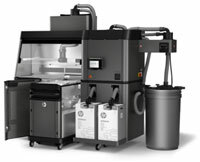 Guangdong Hanbang 3D Tech Co Ltd will showcase its HP Jet Fusion 3D Printing Solution, while chemical firm Clariant will use the show to globally launch its Exolit flame retardant polyamide 6 3D printer filaments. Meanwhile, the Thermoplastic Elastomers & Rubber Zone, a new theme zone to the Chemicals & Raw Materials Zone, will gather about 50 suppliers to demonstrate their latest products and solutions. Confirmed exhibitors include Huntsman, Momentive, Sibur, Top Polymer, Dawn, Huafon, Shin-Etsu, CPMC, Chinasound, Kraiburg, Kraton, Miracll, LCY Chemical, Coim and others. Chinaplas 2018 will be held at NECC in Hongqiao, Shanghai, China, from April 24-27, 2018. For walk-in visitors, RMB50 and RMB80 will be charged for a one-day pass and a four-day pass respectively. Visitors who pre-registered before February 11, 2018, can enjoy admission discount at RMB50 for a four-day pass as well as receive a visitor badge in advance to enjoy express entry on-site.